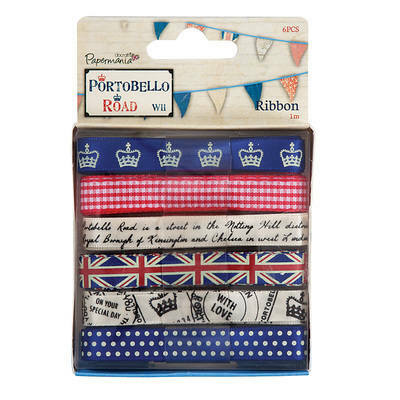 6 beautiful ribbon designs in Union Jack colourways to coordinate with the Portobello Road collection. An embellishment must have!. 6 designs x 1m.